I wanted to write an article that goes beyond the basic tips, tricks and techniques for proper growth of fruits and vegetables. I wanted to share some ideas that can help fellow vegetable gardeners take their love of the hobby to earn a little extra cash which could go a long way to pay for much needed supplies. I posted a request on our vegetable gardening Facebook fan page for ideas on how other vegetable gardeners use their garden to make some money. Here are some ideas that the fans wrote back with. Roger Marshall, author of the book How to Build Your Own Greenhouse, recommends growing herbs and produce that are typically out of season. Out of season produce will usually command higher prices from local restaurants and shops. Of course being able to provide enough herbs and vegetables to local restaurants takes enough area to grow everything you need, so if you have a smaller home garden this option may not be for you, but for those that do have ample land, this is definitely a great money maker. Do you know how to can your vegetables? Jar your jams? Pickle your cucumbers? 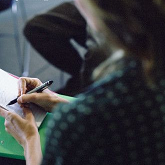 According to Ellen Christian, a working mom blogger, she suggests that if you posses these skills, it creates a tremendous opportunity to sell fresh grown fruits and vegetables to friends and neighbors. Tia Meer, of Homegrown Delights, LLC based out of Orlando, FL, uses their 600 square foot garden to sell sprigs or perennial herbs such as rosemary, lavender and lemon grass. Tia also starts all of her vegetables from seed and then sells four inch starter plants of vegetables and herbs for one dollar through three dollars. Her final tip was to get in touch with a local co-op where Tia says she has plenty of success selling her produce through them as it eliminates the need for interaction with customers. Sure none of theses ideas will make you a millionaire (of course I never said they would), but what they can do is help you with the cost of maintaining the fun hobby of vegetable gardening. Okay, so the sun is not out there as long. Avid gardeners don’t let that stop you. Winter doesn’t have to be a time of scarcity. Bring life back to the cold winter months. 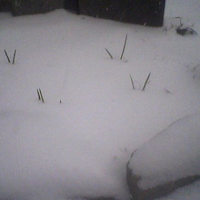 It’s absolutely amazing to see tiny little green stalks popping out from under the snow. There are steps that you can take to assure that your garden will look colorful all winter long. Plant beautiful shrubs or trees with vibrantly colored bark with artfully textured twigs. These cater to feed our winter birds, and add color to instead a drab winter garden. Some vines appear to be ice sculptures with the winter freeze. Such architectural delights! No need to spend a bundle on fertilizer. Compost and mulch is one of the best fertilizers that you can use, and certainly very affordable. Many gardeners place bales of hay on top of their new plantings to keep them warm. Snow is one of the best covers for both carrots and parsnips. Now of course, you will definitely want to have your winter gardening facing south. Your new winter vegetables will need as much winter sunshine as possible to be a success. Planting different evergreens work great in the wintertime. They help to shield the plants and not only look absolutely beautiful, but serve as a windbreak. Boxwood shrubs normally stay green all winter, and when planted on the north side of your garden, will also give you added protection for your winter garden. One of the things that you can do to keep your plants healthy in the winter is to cut back on the watering. This will help to prevent the green foliage from freezing. Unbelievingly, some live where it’s as low as -25 and still sell fresh produce all year round at their local farmer’s market. Many of these planters plan for the whole year when they plant, and not just for the summer. These growers usually use the wooden frame structure technique. Now, what exactly is this technique? Well, it’s a wooden frame that is topped by other glass or plastic that covers and protects the plants from the elements. Yes, these types of structures are the ones that are often used to start seedlings in the spring. They can definitely now have double uses. Turnips, parsnips, carrots, beets and leeks are all ideal choices for your winter garden for up until about the end of December, depending on your geographical area of course. Fresh carrots are often pulled out of the snow in December and often, even in January! After that up until about the month of April spinach, Swiss chard, and kale come into play. Many will attempt potatoes and yams in potted pots on the balcony. Others will try fresh herbs on the window sill. Don’t be afraid to experiment with different ideas. Growing your own fresh produce is so beneficial. For those that are in the coldest areas of the country, using potted plants are always another great choice. Some go as far as to have a winter garden as planting in their house, rooftop, balcony, and window sills, or next to a trellis stashed away neatly at the corner of the house. To know which types of seeds to select for your climate and zone, gather one or two planting catalogues and note which seeds will grow and work best with your geographical area. Don’t forget to keep your statues, bird houses and bird feeders for the winter garden, as they make a magnificent addition to your winter fashion wardrobe. Gates decorated with wreaths also add a festive theme to your garden entry. Grow your own vegetables all year round. It’s not as hard as you think. You will be amazed at not only the amount of money that you will save, but the absolute fantastic taste difference. Louanne has a passion for gardening. You may find several gardening tips and gardening resources at ez-gardening-tips.com EZ-Gardening-Tips.com Top gardening directory and gardening articles. 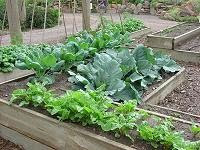 It`s never too early to begin planning next summer`s vegetable garden. In fact, sales of greenhouses and seed starting supplies usually begin in late December and early January, and by the end of February, most retailers have a variety of seeds for sale on store shelves. If you want to plant a vegetable garden this coming summer, some advance planning will ensure that you are able to get all the seeds you want before they sell out, and you`ll be able to start them in time to have healthy young plants ready for transplant into your garden in early or late spring. The first part of planning your vegetable garden is deciding what to grow. How much space do you have for planting? Someone who lives in the country and has a large plot of land will certainly need to do more advance planning than an apartment dweller with a small deck or veranda. Remember that even if you`re limited by space, there are many types of vegetables that grow well in patio containers. Also be sure to consider your local climate. For areas with longer summers, you`ll have more options of plants you can grow, plus a longer season in which to grow them. However, gardeners living in cooler climates shouldn`t discount the variety of cool weather vegetables they can cultivate such as spinach, peas, lettuce, potatoes, carrots, and beets. You should also honestly ask yourself how much time and energy you`ll want to put into your vegetable garden. If you`re someone who works long hours and you`re tired at the end of the day, you may not want to spend an hour or two every summer evening weeding and caring for a large plot of land. If this is the case, start on a small scale. You can always plant a larger garden next year, if you want. Next you`ll want to obtain seeds and seed starting supplies. Read each seed packet carefully to determine when to start the seeds. If plants take 2 weeks for germination plus 4-6 weeks before they can be transplanted, and the last expected frost date in your area is May 15, then you should sow the seeds indoors around the last week of March. Finding a good place to start your plants from seed will be very critical to their early growth and development. An ideal location is a warm sunny window facing south or west. If you don`t have such a window, a small indoor greenhouse might be a good investment. Indoor greenhouses can be as small as just a couple shelves that occupy only the top of a table or workbench, or they can be as large as a floor unit, standing four or five shelves high. Small indoor greenhouses can usually be outfitted with heat lamps or grow lamps to encourage germination and rapid early growth of seedlings. Before transplanting seedlings to the garden, be sure to map out where you`re going to plant everything. Pay attention to the space requirements of each vegetable, keeping in mind that some need extra space for air flow around the plant, while others need to be close together to promote pollination. Also remember that you don`t have to group all similar plants together. If you have 5 or 6 tomato plants, for example, space them out around your garden, mixing them in with other types of vegetables. Inter-planting crops can help discourage insect infestations and other pests. I was watching the history channel the other day on cable television and as luck would have it they were showing a program on the history of raised bed gardening. I was fascinated to see that gardening via raised bed methods dates back in some history books to ancient civilizations. Some cultures would raise up their gardens so the excess water would drain away from the roots of the plants which they found helped grow healthier plants. Sometimes, and even I am at fault for this, we think that methods we use today were invented or started by our generation when in fact they are just variations of methods developed a long time ago. After seeing this program I wanted to get some ideas and methods that other vegetable gardeners use in their own raised bed vegetable gardens, so I asked around. One reply to my posting on our vegetable gardening fan page on Facebook was from a gentlemen by the name of Michael Phelps. No, I don’t believe he was the Olympic gold swimmer but hey you never know. Mr. Phelps said he has been gardening via raised bed methods for over 2 decades and here are the tips he suggested to increase your harvest`s success. Just like the ancient civilizations you want to make sure your raised beds allow for excess water run off. Just like pots have holes in the bottom to allow the water to exit, make sure your raised beds allow for the water to leave as well. Excess water around the roots of your plants will cause root rot and your plants will die. Mr. Phelps recommended that your plants in the raised beds have adequate water for their needs. He said because they are raised, water has a tendency to run off more quickly thereby increasing the chances of soil drying out faster than normal. He recommended that the use of a moisture soil tester has helped him tremendously and they are available at your local home or garden center for just a few bucks. Composting is one of the best things you can do for your soil. It adds much needed nutrients and keeps the soil airy and light which allows for the soil to be more loose in turn giving the roots of your plants better chances to grow. There are all different methods for composting. Search our website and pick one that is right for you. You can build a raised bed a number of ways, but Mr. Phelps recommends using composite decking because “it does not degrade”. Who can argue with him? When you build a raised bed as a structure as opposed to “mounding up” dirt, you want it to last for many years and if you can pick a material that is safe for your garden and does not breakdown, then that is a great way to go. Composite decking is more expensive than traditional pine or cedar wood for this very reason. However, you will find, that will be money well spent. Maybe you never thought of gardening in a raised bed or maybe you never even heard of the art. After this information you have the tools necessary to give it a go and try raised bed vegetable gardening for yourself. Growing up we lived in a 3 bedroom row home in the city and although we did have a backyard, it wasn’t large enough to have the garden my dad had always wanted. What he did do though was take advantage of the space he did have using a few techniques that I am about to share with you. None of them were off the wall, crazy ideas, but all of them were practical easy to follow solutions. One of the easiest things you can do right now without changing a thing is picking plants that have higher yields. If you can grow plants that grow more produce per plant then you will need to plant less of them. 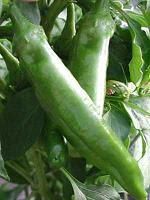 For instance, cherry tomato plants, peas, beans, zucchini, all have higher yields per plant. Therefore simply planting just one or two could produce all that you may need. Do you companion plant? What you might ask? Companion planting is the process of planting vegetables next to one another that compliment each other as opposed to fighting for the same nutrients. For example you can plant royal burgundy beans in between your corn and then have the beans use the corn as their means of a trellis. Meaning that they, the beans, will use the corn plants as their pole to latch onto. Every vegetable plant has a companion vegetable plant that is suitable for optimal growth and maximizing space. You can check out that information on our website. You should be rotating crops already from season to season for a variety of benefits, but you can also do an in season crop rotation. What this means is you plant your vegetables based on their temperature requirements, planting the cold tolerant plants when the weather is cooler and then replacing them (after they have been harvested of course) with warmer weather tolerant plants. Learn how to grow vertically. You might be limited on the amount of space that you have, but the sky is literally the limit when you grow your plants vertically. Vegetable and fruit plants such as pumpkins and watermelons are called indeterminates because you do not know exactly how long the vine will grow. If you let them grow out horizontally they will take up a tremendous amount of space. Instead have them grow up a structure (strong enough to support them of course) and use all that vertical space to your advantage. This will allow you to grow more of them. As you can see these are basic, common sense solutions to a real problem that many people face, and that is limited spacing. Following these suggestions and you will be well on your way to harvesting more fruits and vegetables from your garden in no time. They are two of the most common diseases that affect all plants in the home vegetable garden. Caused by periods of weather that include wetness, heat and humidity, early and late blight are simple terms to describe not so simple fungi that can cripple your home vegetable garden. You will see early blight appear most often before your plants produce fruit. 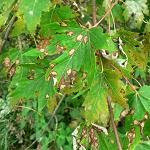 The plants’ leaves will form brown circles and if not taken care of early enough can kill the plant. Even though it is a completely different fungi then early blight, late blight, which most often occurs during periods where the weather is wet and the temperatures are hot, the results of this disease if not tackled quickly will cause the plants to rot and collapse. I have talked about it time and time again in many articles on my website and that is the importance of compost tea. Compost tea (a simple recipe) is created by steeping good, quality compost in water for 24 to 48 hours. Compost tea is filled with all kinds of helpful microbials that attack the harmful fungi of both early and late blight. Get to know neem oil. It is a safe, organic way to treat your plants for these two diseases (as well as other plant diseases). You can pick up neem oil at any home or garden center for under $10 and one bottle can treat a medium sized home vegetable garden for an entire season and sometimes longer. Make sure you remove weeds from your garden regularly as they can make conditions worse and actually help spread the disease. I like to use two layers of newspaper underneath one to three inches of compost in my home vegetable garden to act as a weed barrier. With the advancements of genetic engineering in today’s seeds you will be able to find ones that have been engineered to resist early and late blight as well as other home vegetable garden diseases. If these fungi are common in your area of the world, make life easier on yourself and choose these types of seeds. A common insect that is known to spread the disease is called the flea beetle. They are dark black or brown in color and about the same size as a ladybug. Yet these small pests can do a world of damage. You can avoid using harmful chemicals to get rid of flea beetles by attracting natural predators which include lacewings and of course birds. Onion and garlic make great repellents for the flea beetle as well and I am sure you can find a good onion garlic spray on Google that will be harmless to your plants and harmful to the flea beetle. Last but not least, rotate your crops. Rotating crops have more benefits than simply not removing nutrients from the soil, the process confuses insects. Most insects such as the flea beetle will hibernate in the soil where their food source is and when the next growing season comes around they come out of the ground and their food source is right there. But, if you move that food source two or more rows away, they get confused and either leave or hopefully die. This will help in reducing the spread of these harmful fungi. You can’t control the weather or flight patterns of harmful insects but you can take steps to reduce your chances of early and late blight. Use these methods that I mentioned here and you will be well on your way to a “blightless” home vegetable garden. There are over a dozen varieties of these tasty vegetables, yet many home vegetable gardeners do not add them to their harvest. They are beets and they come in all shapes and sizes. You are sure to find something that you will find tasty and easy to grow. Some like it hot, and members of the beet family are…. not included. They prefer the soil to be in the seventy-five to eight-five degree Fahrenheit range (that’s twenty-four to twenty-nine Celsius) for germination, but like the growing temperature in the sixty-five to seventy-five degrees Fahrenheit range. Beets also like the soil to have a pH range as near neutral as possible. It’s best if you keep your soil in the 6.5 to 7.5 range. Use a simple pH soil tester, available from any local home or garden center for under five dollars to obtain an accurate reading, and then adjust accordingly. You can sow beets indoors usually about five weeks prior to the final frost of the season in your area. You can obtain a free frost zone map of the United States and Europe from our website. When you move the beets from the indoors to the outdoors make sure you space them out at least four inches. You want to give the roots the space they need to grow and expand. Also, choose a location where they will receive full sun although some species can tolerate light shade. If you like to, as I do, use a crop rotation system from growing season to growing season, avoid following spinach or Swiss chard with your beets. If you practice companion planting, bush beans, members of the cabbage family, corn, leek, lettuce, lima beans, onions and radish make for great companions whereas mustard (no not the yellow stuff that goes on hot dogs) and pole beans, make for terrible ones. Many experts agree that harvesting your beets when they are about two inches in diameter will produce the best tasting results. 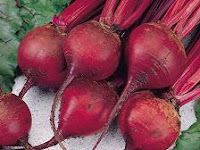 Just give your beets a moderate and even watering throughout their life span and you will have great tasting beets in no time. Anthracnose is a disease that produces small spots on the stems and leaves of plants that you grown in your home vegetable garden. If left untreated they will grow in size and eventually the plant will die. This disease affects many varieties of vegetables such as, but not limited to, beans, cucumbers, eggplant, lettuce, peas, peppers and potatoes. If the plant has stems or leaves, it can be affected. You get the point. Here are three ways you can handle this common home vegetable garden disease. Start with spraying your vegetable plants with compost tea. Compost tea is filled millions of tiny bacteria and beneficial microbial that ward away harmful diseases, of which one is anthracnose. You make compost tea by filling a burlap sack with compost, and plunging the sack of compost into a bucket filled with water. Let it steep for 24 to 48 hours and you will have excellent compost tea. There are more advanced methods of making even better compost tea, but this formula will get you started. Second, if you don’t do so already, rotate your crops annually. There are many benefits to rotating your crops and the prevention of anthracnose is one of them. So if you plant tomatoes in row 1 this year, make sure you plant tomatoes no closer than row 3 next year. You get the idea. 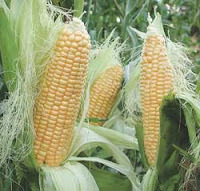 Finally choose seeds of plants that you are going to grow that have engineered for disease resistance. Scientists are doing great things today by making our seeds more stable, and more resistant. The best part is they are not any more expensive then other seeds. Choosing seeds that are made to be disease resistant will go a long way to a healthier vegetable garden harvest. It is inevitable. You are going to get hit with Anthracnose at some point if you do not take the necessary steps to prevent and control it. Follow these tips I have talked about here and you will be well on your way to knocking out this pesky disease. They could be the biggest one to two inch problem your garden may ever see in a single growing season. They are called armyworms and they reap havoc and do irreparable damage to a variety of vegetables grown in many home vegetable gardens. Their favorite plants to target are beans, beets, cabbage, corn, cucumber, lettuce, peas, peppers, spinach and tomatoes to name a few. Although they are harmless to humans the aforementioned are not so lucky. Armyworms, chew and eat their way through their favorite foods until nothing remains, leaving you a worthless crop. Armyworms are about an inch to two inches in length and are caterpillars that can be either greenish-blue to brown in color. They do most of their feeding at night, and in you live in a climate that is warmer, armyworms can be a persistent problem. Before you panic and call the Orkin man (which I hope you would never spray chemicals on your plants), these pesky creatures are controllable. By attracting their natural predators and applying a safe organic spray, you can help eliminate the ones you have and control them before they ever get started. Natural predators to the armyworm are nematodes and spined soldier bugs. Nematodes are usually available for purchase at a local home or garden center for a few bucks (if they aren’t naturally occurring in your area). Spined soldier bugs can be attracted to your garden through planting various other plants such as alfalfa, celery, soybeans or cotton. Alfalfa makes for a good cover crop to rejuvenate your soil with nitrogen. So planting alfalfa can serve dual purposes in your home vegetable garden in this case. Attracting natural predators to your garden is a great long term solution, but what should you do if you need immediate help? Using a Btb (Bacillus thuringiensis) spray will help control armyworms as will simply handpicking them off. Try to only use the spray if there are so many that handpicking is not a viable option. Armyworms can be a problem in your home vegetable garden, but only if you let them be. Use these tips to control and eliminate them so your crop doesn’t get too damaged.